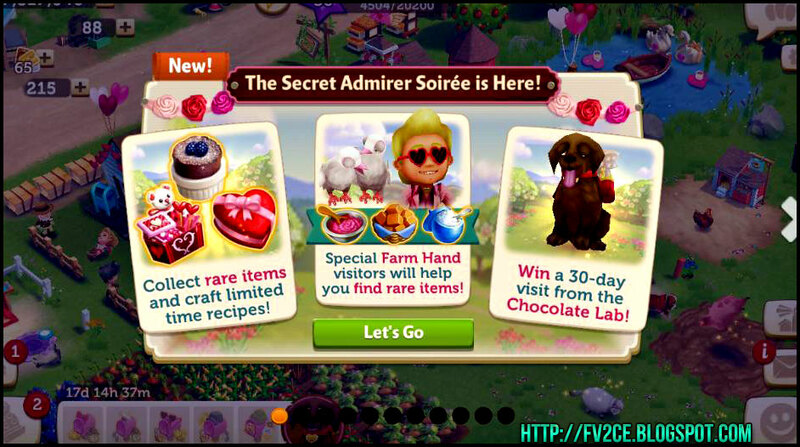 The Secret Admirer Soiree event debuted on 01/25/2017. 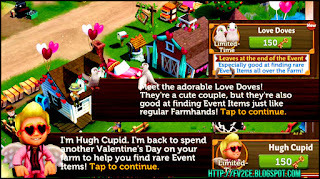 If you are at least level 12, you will see a pop-up inviting you to the Legends of the Farmdog Trail Event. 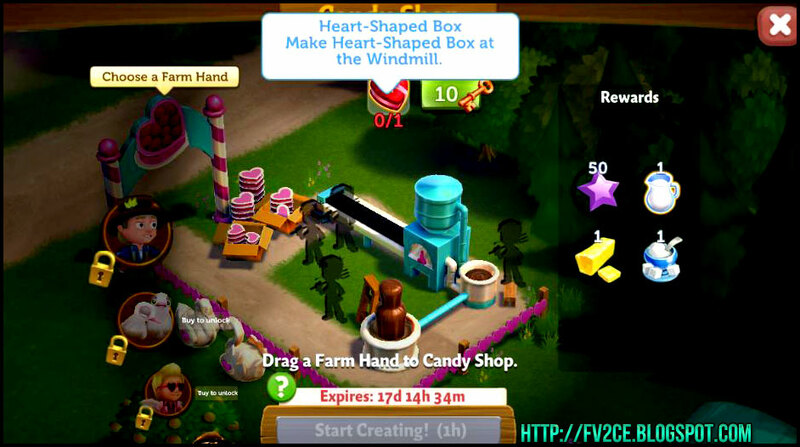 The caveat though is that you will need to reach level 18 to play phases 5. There is a time limit. 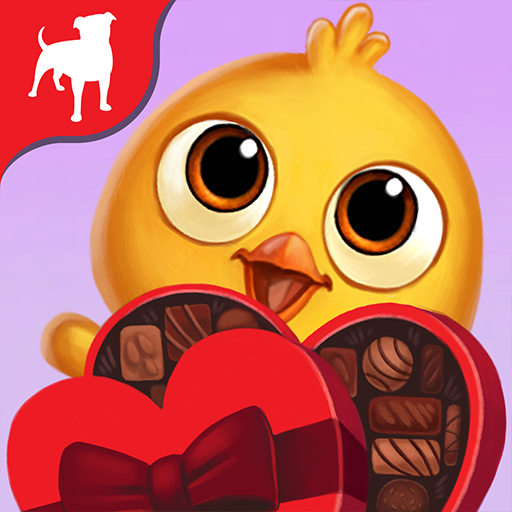 You have until February 12th 2017 to complete the quests, and win the exclusive Chocolate Lab as a temporary Farm Hand. 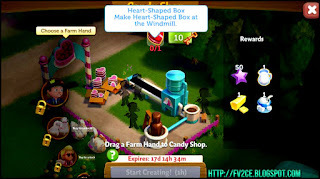 The Candy Shop is a temporary area that will drop the different items needed in each recipe. 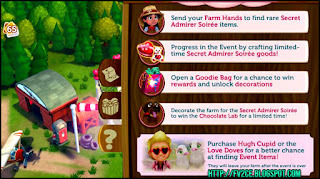 For example, it will drop Heavy Cream which you will need to make Strawberry Parfait in Phase 1. 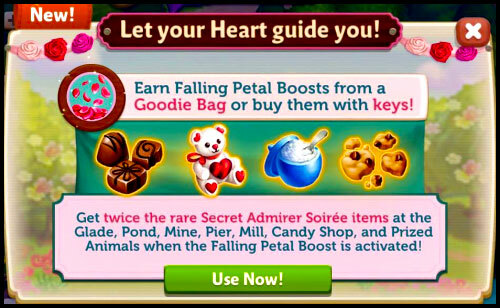 This boost gives you twice the amount of rare Event items from the Glade, Pond, Mine, Pier, Sailboat and your Prized Animals once it's activated. It will appear for free sometimes. If you have push notifications enabled you will receive a push notification when the boost is free. It can also drop from opening Gift boxes on occasion. 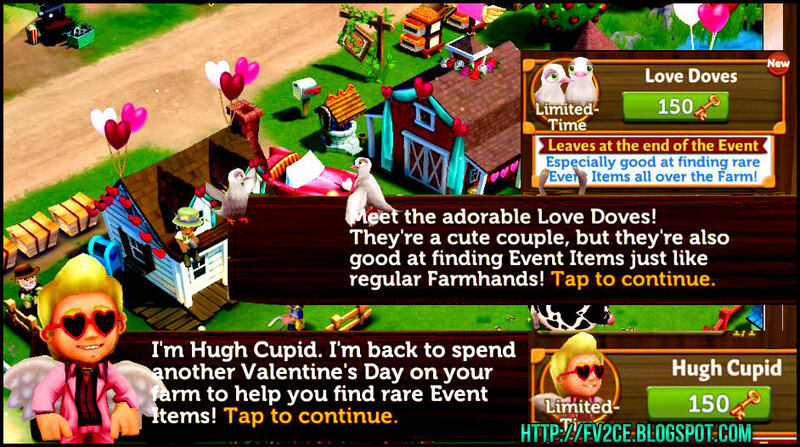 You have the option to purchase Hugh Cupid, and/or the Love Doves, as Farm Hands to help you out during the Secret Admirer Soiree Event. 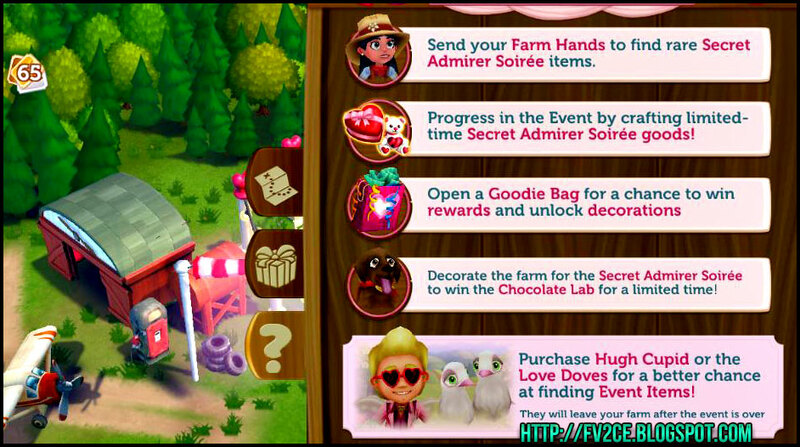 They will give you a higher chance of finding event items found at the Place of Interest - Candy Shop. 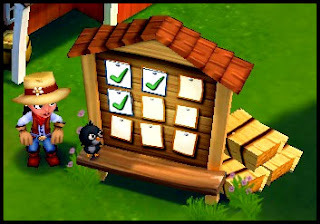 Please be aware that they are temporary, and will leave your farm when the event ends.